Although James Madison was the youngest member of the Continental Congress, his leadership was a critical factor in the development of American government. 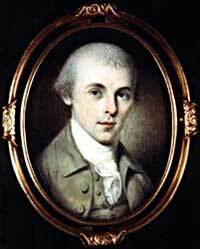 Madison proposed the Virginia Plan, he authored some of the Federalist Papers, and he wrote the Bill of Rights. The first national election occurred in 1789. Along with President Washington, voters elected a large number of supporters of the Constitution. 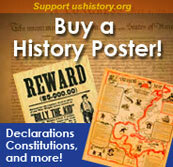 In fact, almost half of the ninety-one members of the first Congress had helped to write or ratify the Constitution. Not surprisingly, given Anti-Federalists' opposition to the strong new central government, only eight opponents of the Constitution were sent to the House of Representatives. Most Anti-Federalists concentrated their efforts in state politics. An immediate issue that the new Congress took up was how to modify the Constitution. Representatives were responding to calls for amendments that had emerged as a chief issue during the ratification process. Crucial states of Massachusetts, Virginia, and New York (among others) had all ultimately supported the Constitution — but only with the expectation that explicit protections for individual rights would be added to the highest law of the land. Now that supporters of the Constitution controlled the federal government, what would they do? The legal tradition of having a precise statement of individual rights had deep roots in Anglo-American custom. So it's not surprising that the first Congress amended the Constitution by adding what became known as the Bill of Rights. James Madison, now a member of Congress from Virginia, once again took the leading role crafting proposed amendments that would be sent to the states for approval. Madison skillfully reviewed numerous proposals and examples from state constitutions and ultimately selected nineteen potential amendments to the Constitution. As one might expect, the nationalist Madison took care to make sure that none of the proposed amendments would fundamentally weaken the new central government. In the end, ten amendments were ratified in 1791. 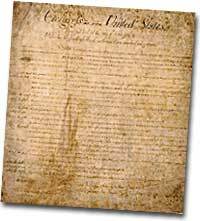 These first ten amendments to the Constitution became known as the Bill of Rights and still stand as both the symbol and foundation of American ideals of individual liberty, limited government, and the rule of law. Most of the Bill of Rights concerns legal protections for those accused of crimes. Rights granted in the Constitution shall not infringe on other rights. Powers not granted to the Federal Government in the Constitution belong to the states or the people. For instance, the fourth through eighth amendments provide protection from unreasonable search and seizure, the privilege against self-incrimination, and the right to a fair and speedy jury trial that will be free from unusual punishments. The First Amendment, perhaps the broadest and most famous of the Bill of Rights, establishes a range of political and civil rights including those of free speech, assembly, press, and religion. The last two amendments, respectively, spell out that this list of individual protections is not meant to exclude other ones, and, by contrast, set forth that all powers claimed by the federal government had to be expressly stated in the Constitution. While the Bill of Rights created no deep challenge to federal authority, it did respond to the central Anti-Federalist fear that the Constitution would unleash an oppressive central government too distant from the people to be controlled. By responding to this opposition and following through on the broadly expressed desire for amendments that emerged during the ratification process, the Bill of Rights helped to secure broad political support for the new national government. A first major domestic issue had been successfully resolved. The Bill of Rights remains an active force in contemporary American life as a major element of Constitutional law. The meaning of its protections remains hotly debated. For example, the privilege to bear arms to support a militia, which appears in the second amendment, produces significant political controversy today. More sweepingly, the extension of the Bill of Rights to protect individuals from abuse not only by the federal government, but also from state and local governments remains an unsettled aspect of Constitutional interpretation. Originally, the protections were solely meant to limit the federal government, but with the fourteenth amendment's guarantee in 1868 that no state could deprive its citizens of the protections in the Bill of Rights this original view began to be expanded. To this day the Supreme Court has not definitively decided if the entire Bill of Rights should always be applied to all levels of government. Looking for some in-depth analysis to tie all of this history together? The National Archives and Records Administration provides an excellent recap of the turbulent series of debates and compromises that culminated with the states' final ratification of the Constitution. If you're interested specifically in the Bill of Rights, stick to the last few sections, but if you have time, read it all — it's worth it! We're all familiar enough with the who, what, when, and where of the Bill of Rights. But what about the why? Why did the American people, in particular, want guarantees about their liberty? Why did the ideal of democracy threaten the very ideal of liberty? And why wasn't the Bill of Rights really put into practice for the first 130 years of its existence? In this informative, easy-to-read essay, the American Civil Liberties Union attempts to answer some of these questions. Extra, extra, read all about it! Congress adds a Bill of Rights to the Constitution! With this faux-newspaper article from 1791, you can get a sense of the tremendous negotiations that surrounded the birth of the Bill of Rights. In the end, it was little more than the product of much haggling and many compromises between supporters of a strong central government and those concerned about individual liberties. What was all the fuss about? Most people don't know much about the man Thomas Jefferson called "the wisest man of his generation," but George Mason was largely responsible for the addition of the Bill of Rights to the Constitution. This site explores the contributions made by this influential southern antifederalist leader who preferred to keep his nose out of politics, but who fought passionately for his beliefs on the occasions when he did enter the governmental fray. There are 5 concise pages, with loads of hypertext links.